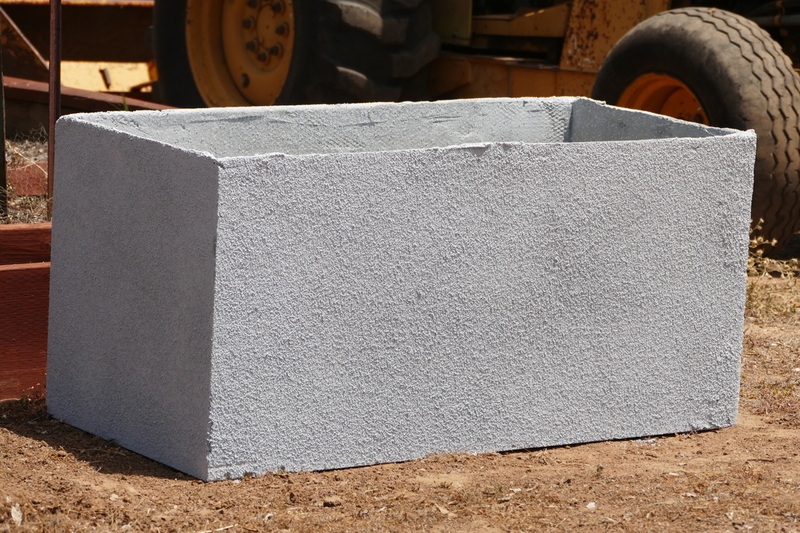 Both products can either be used as planters, garden beds or ponds. 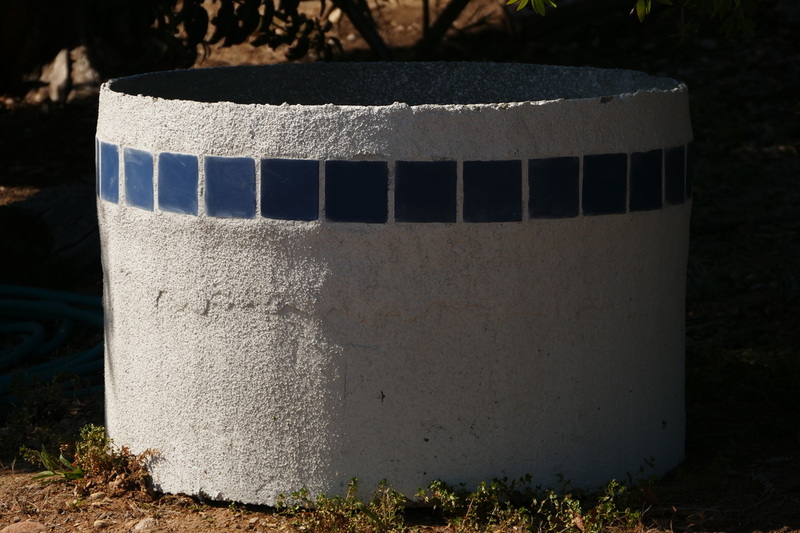 They have both been given a finish coat of stucco. The possibilities of colors are limitless. The one on the left has a white finish and the right has a gray with a hint of blue finish. 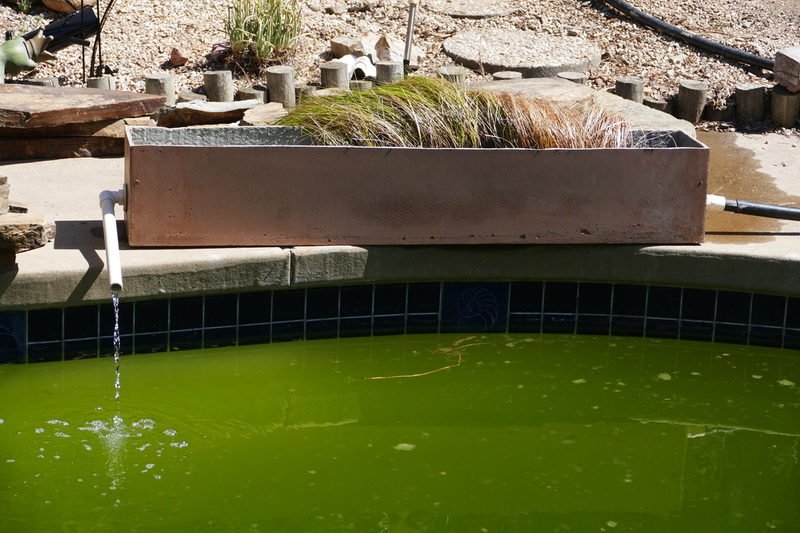 Our products being used in a pool conversion - converting a pool from a chemical based system to a natural pond system. 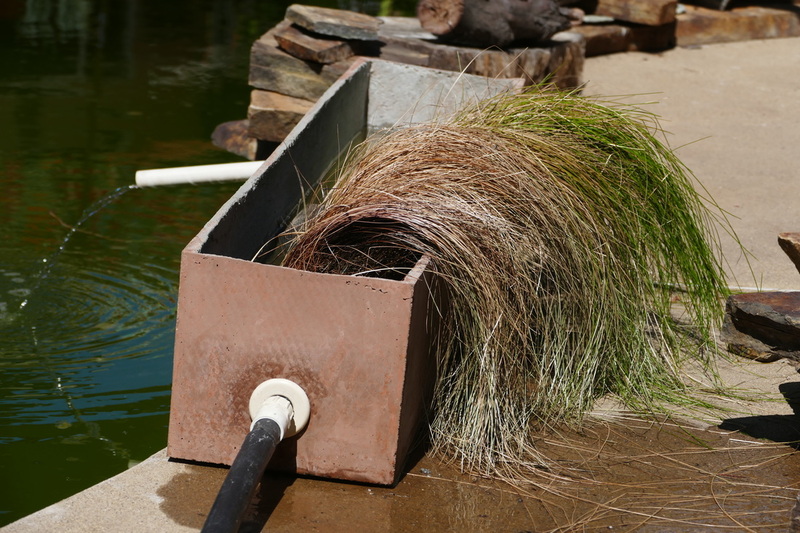 Product is used to hold aquatic plants and provide filtration using the existing pool pump.